Join us for the best HELISKIING in the World! 2019 Was Spectacular for our Group! From one of our newest guests; "Your groups without a doubt are filled with the best people and are unquestionably the most fun whatever lodge you are in!" Confirmed 2020 Lodges and Dates!! * TRIP PRICES ARE QUOTED AS WE GET THEM FROM CMH IN CAD$. (DISCLAIMER; Fees printed here have been given to us from CMH and may have changed. Only the CMH office can give you the exact numbers. If you need/want to know the precise totals, plesae call CMH to get the exact costs! FINAL PAYMENT is due 12 weeks prior to your trip’s start date. To make your final payment, please call our Banff Office, 800-661-0252 or your local CMH representative. We accept American Express, MasterCard, or VISA, check or a bank transfer. HELIHIKING: We are planning a lodge to lodge helihiking trip for summer 2020. Details will follow once we have them! "EDUCATION IN THE GREAT OUTDOORS"
Heliskiing, & Helihiking Symposiums for health care professionals. May we introduce ourselves? The Aesculapian Society is an international group of conscientious health care related professionals. My name is Dr. Ted Ritota and, with my wife Lisa, we have been conducting Heliskiing & Helihiking Symposiums for Physicians, Dentists and Health Care Related Professionals since 1991. Come join us for an unforgettable heliskiing experience in beautiful British Columbia, Canada. We ski exclusively with Canadian Mountain Holidays (CMH). We usually have several trips each year. There will be two trips in 2018-2019 and two trips next year 2019-2020. "The educational experiences are real and enlightening!" There is a $225 (via check; $240 via credit card) registration fee for each symposium ($280/check, $295/cc late after Nov 1; these fees reflect a discount for paying by check). The skiing experience is "The Ultimate"! 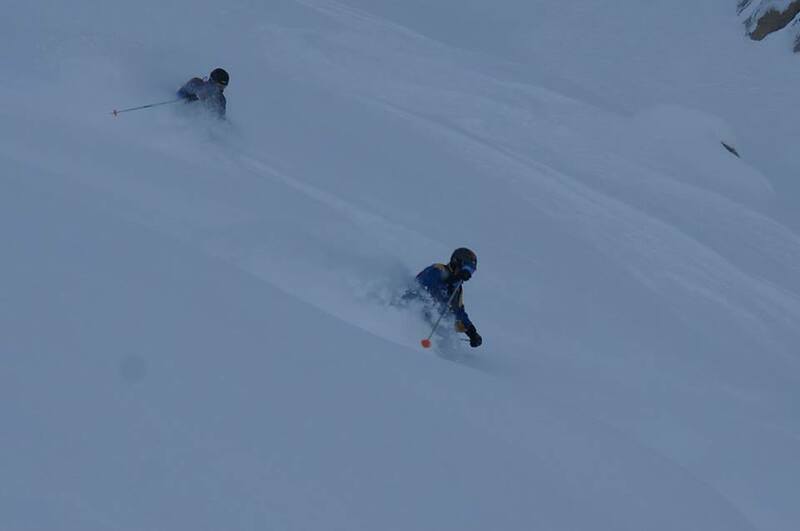 We recommend that you be at least an ADVANCED INTERMEDIATE skier. If you have had no real powder experience, you should expect to struggle for a few days, but you will learn quickly. The Symposium presenters are attending professionals. We have recently incorporated Heli-Hiking Symposiums into our repertoire using the same format. “The Aesculapian Society and the Association of Retiring Dentists have partnered to offer members of each other’s group a 10% discount on their registration fees for courses. Please visit: http://www.retiringdentists.com to join the ARD.” From one of our long time constituents, Dr. Neil Hiltunen.